Contact TK Maxx UK customer services by calling their local-rate phone number 01923 473 561. You can call this helpline to get information about their in-store and online products and services, to track an online delivery, cancel an order and to arrange a return for a TK Maxx product. 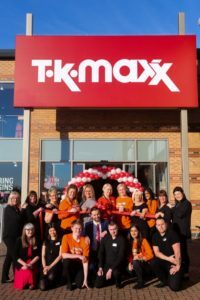 Phone TK Maxx customer services on their main contact number 01923 473 561 if you have an enquiry about your gift card or an eVoucher. You can phone this number to report a lost or stolen gift card, to resolve a problem with your gift card (for example it isn’t working in store) or to check the balance on your gift card – which you can also do online by going to their website www.tkmaxx.com/gift-cards/icat/giftvouchers.